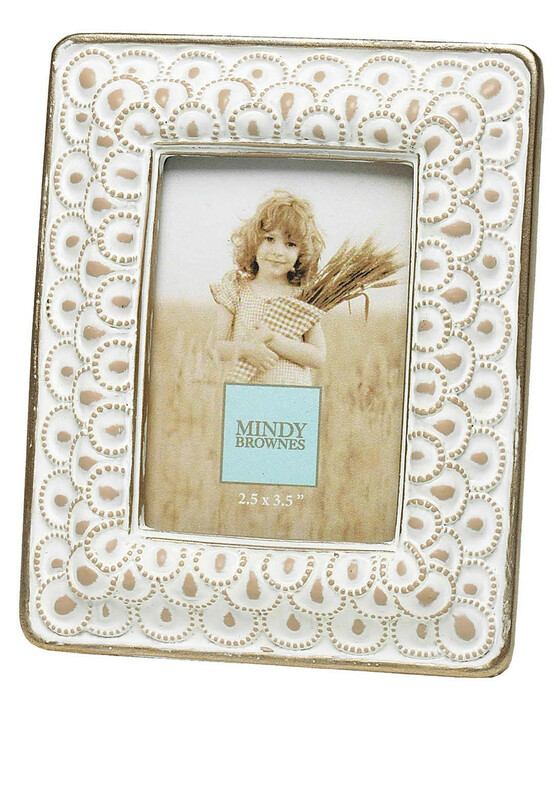 A stunning white ceramic Sara frame by Mindy Brownes. This gorgeous piece has a vintage style painting detail and a gold trim. It would made a beautiful gift and is a timeless design.